Is there someone out there who dislikes Target? I have yet to walk in there without buying something cute for less than $20, whether it’s a $7 salad bowl or a $12 sundress. Or, most recently, a $17 sports bra. 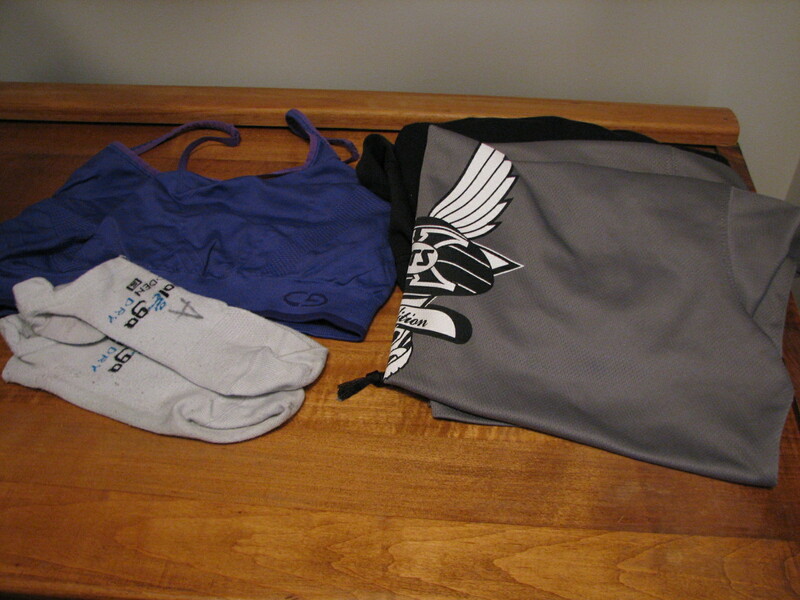 I have a favorite fancy sports bra, the Mizuno Women’s Colt, and this is what I wear for long runs and races. But it costs $33 a pop, which is simply unsustainable for an everyday sports bra on this runner’s budget. Plus, you don’t need me to tell you about another expensive sports bra. I’m willing to bet you have your own favorite brand that fits you perfectly, and that you’d own ten of if you could afford to. Meet the C9 by Champion Seamless Sports Bra, a cheap ($16.99!) Target-brand sports bra that doesn’t feel like one. If this sports bra isn't in the laundry, it's sitting on my dresser, prepped for my next run. What I love: Its seamless construction makes it mold to my body perfectly—no weird folds or flaps to cause chafing. It has held up beautifully through a dozen or so machine washings, and its nylon blend wicks sweat acceptably well. Best of all, it’s adorable, with its thin, adjustable straps and racerback design. What I don’t love: I can tell those adorable straps could become problematic on longer (read: 15-plus miles) runs. And I certainly wouldn’t recommend this for runners with larger bra sizes, unless they were looking for a yoga top. Bottom line: If you’re a woman with an A or B cup who needs a few ($16.99!) new sports bras for weekday five-milers, you’ve found your match. love these too! I actually got the non-adjustable one–in bright screaming traffic-worker yellow : ) loving all your reviews! I have a bunch of C9 with non-adjustable straps…they are a great deal. I live near a target and it’s definitely a dangerous place to go in because you always come out with more than you plan to buy. At least it’s cheap! LOVE love love Target – these are the only Sports Bras I wear (c9) 🙂 can’t go wrong!